Xtreme Car Rental Western Cape offers car hire facilities at all the major cities and airports in Western Cape, including Cape Town, Woodstock, Cape Town International Airport, Stellenbosch as well as in Somerset West and Hermanus ensuring that you have access to quality rental cars at affordable price wherever you are in the province. For a quick and easy Car Bookings in the Western Cape use our Quote & Book. 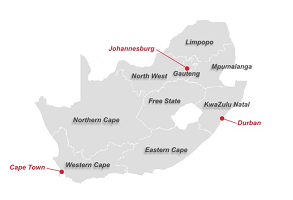 The Western Cape and Cape Town in particular is a sought-after location for large-scale events and business interactions. The city is one of the leading tourist destinations in the world, and boasts many famous attractions, including Table Mountain, an abundance of beaches, the V&A Waterfront and the sophisticated Cape Town Convention Centre. Pay with cash or even use a debit card. What’s great about this is the fact that it if you’re taking a self-drive beach holiday in the Western Cape this summer we make it so convenient for you to choose whether to drop your car off at any Cape Town branch at the end of your holiday, or at another, more conveniently-located branches in the Western Cape.If you are planning a Western Cape car hire holiday, and in search of Affordable Low-Cost care hire why not contact Xtreme Car Rental today for fast, friendly and efficient personal assistance. Our friendly staff members will help you find the best value-for money car-hire deal in Western Cape,and depending on your itinerary, you can choose whether to drop your car off at any Cape Town branch at the end of your holiday, or at any another, more conveniently-located branch nationwide. Whats more when renting a car in Cape Town we will deliver and collect you for FREE within 60 km from our main Office.